Youth Ministry hosts a first youth-oriented Mass the last Sunday each month at 5:30 PM. This is a new monthly event and will be filled with contemporary music and a message that relates directly to teens. 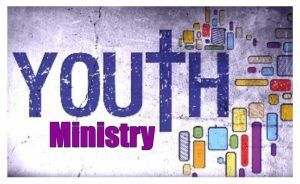 Youth Ministry needs Teen Lectors, Eucharistic Ministers, musicians and singers. If you are interested in helping out with this mass please contact Youth Minister Kurt Martin at kmartin@sfcabrini.org. Following Mass, the Youth Ministry will meet from 6:30 PM to 8:30 PM and welcomes all 9th – 12th graders to attend. 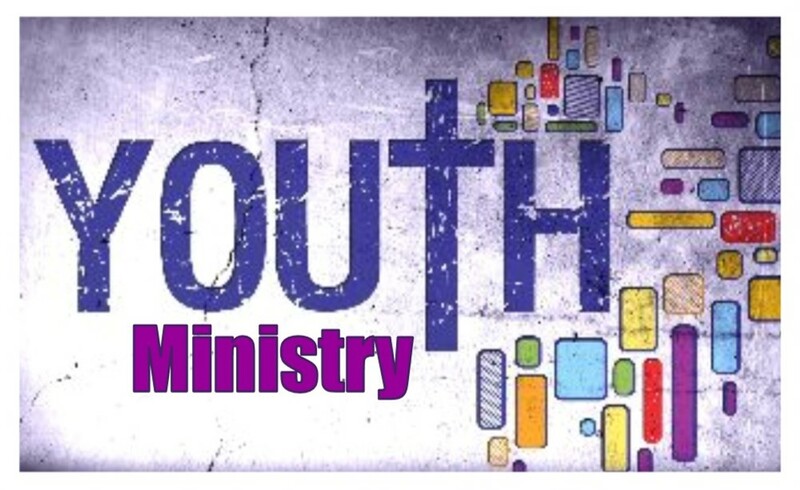 Youth Ministry nights are held in the parish center after Mass and dinner will be provided. It’s Quick and Easy to Join Youth Ministry; Register Today! Register for the Youth Ministry or 8th Grade Youth Group. 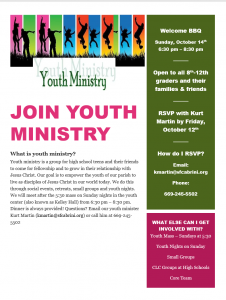 Download this form, complete it and return it to our Youth Minister, Kurt Martin. Please welcome to our St. Frances Cabrini community Mr. Kurt Martin who will serve as Youth Ministry Coordinator. In May 2018 Kurt graduated from the Institute for Leadership in Ministry (ILM). He is a 2014 graduate from Sonoma State with a major in Communications and Bellarmine Class of 2010. With Kurt’s experience as a Youth Minister at Sacred Heart he brings great enthusiasm and heartfelt spirit to SFC. He has participated in DYR, along with coaching basketball and football in the catholic school system. March 3rd from 3:45 pm – 5:15 pm for our first meeting. Questions? 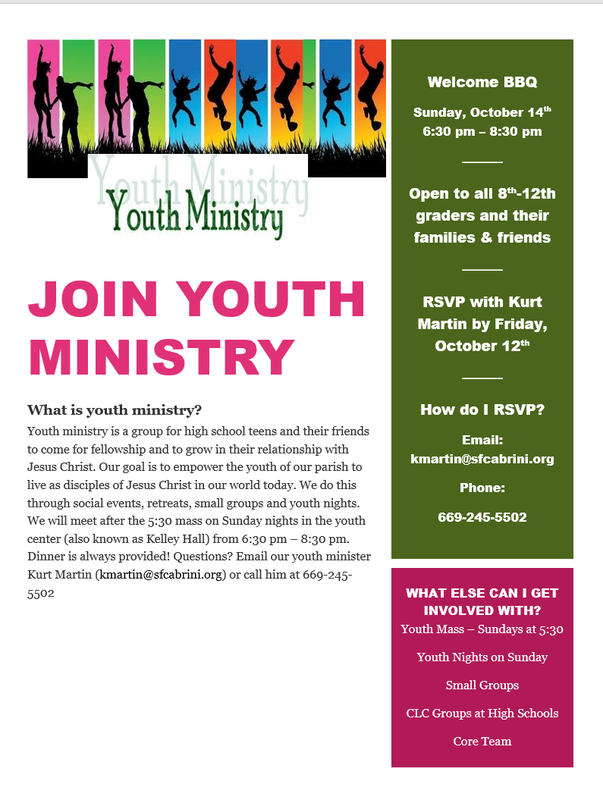 Contact our Youth Minister Kurt Martin at kmartin@sfcabrini.org. What’s In Store With Youth Ministry? Youth Group is back! Join us in the parish office every Sunday night 6:30 PM – 8:30 PM. Dinner is always provided. 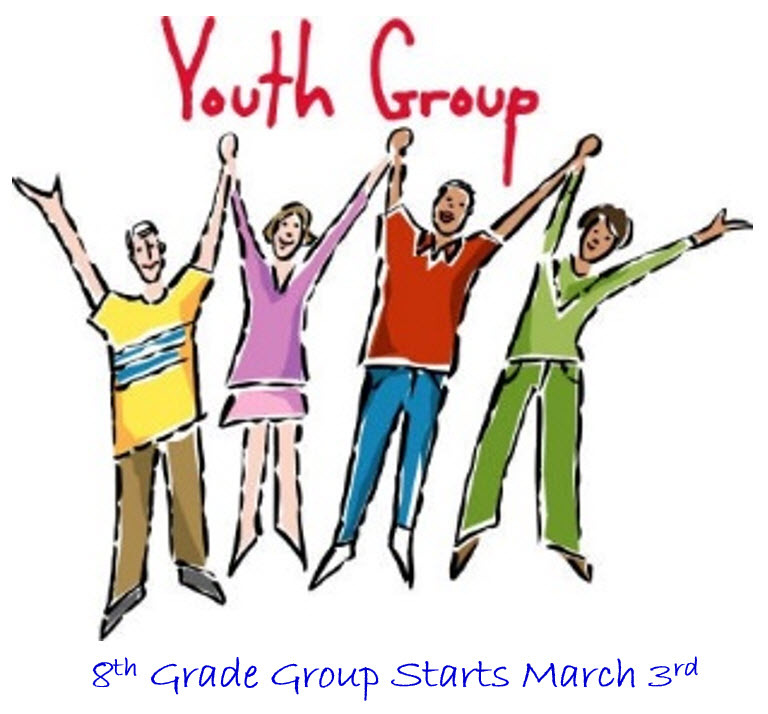 Our 8th grade group will have it’s first meeting on Sunday, March 3rd from 3:45 PM – 5:15 PM. Sunday, Jan. 27th any teens who have a passion for creative writing or screenplay writing are invited to join the youth group for a movie planning session. This is an original movie that will be produced by the teens of our parish. The session will be 3:15 PM – 5:15 PM. Youth ministry is a group for high school teens and their friends to come for fellowship and to grow in their relationship with Jesus Christ. Our goal is to empower the youth of our parish to live as disciples of Jesus Christ in our world today. We do this through social events, retreats, small groups and youth nights. We will meet after the 5:30 mass on Sunday nights in the youth center (also known as Kelley Hall) from 6:30 pm – 8:30 pm. Dinner is always provided!